Dana C. Childress has worked in the field of early intervention for almost 20 years as an early childhood special educator, service coordinator, supervisor, professional development consultant and writer. She currently works as part of Virginia's early intervention professional development team developing resources, conducting web-based and in-person training, and managing the content for the Virginia Early Intervention Professional Development Center’s website. 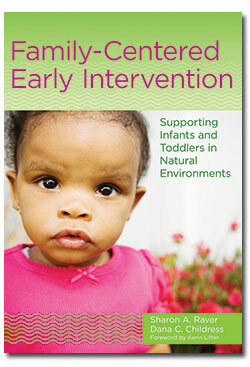 She also writes and manages the Center’s Early Intervention Strategies for Success blog. Dana's interests include family centered practices, autism spectrum disorders, supporting family implementation of intervention strategies, and finding ways to bridge the research to practice gap through interactive professional development for in-service early intervention practitioners. She regularly presents workshops in VA and has presented at state, national, and international conferences. She currently lives in Chesapeake, VA with her family.